This historic downtown Fort Worth hotel conveniently located just yards from Sundance Square, the Fort Worth Cultural District and the Stockyards. 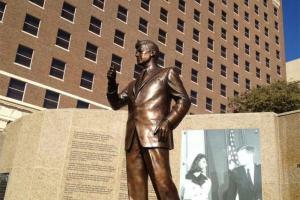 A nationally registered historic landmark, the Hilton Fort Worth was the scene of President John F. Kennedy’s final address on the morning of November 22, 1963. Guest rooms are designed with comfort and convenience in mind, and offer a welcome sanctuary. Located in downtown Fort Worth, about 20 miles from Dallas/Fort Worth International Airport.